ABC News Live will provide full coverage of the George H.W. Bush funeral services on Thursday, Dec. 6 – Watch on ABCNews.com/Live, The ABC News App, Hulu, and Roku. 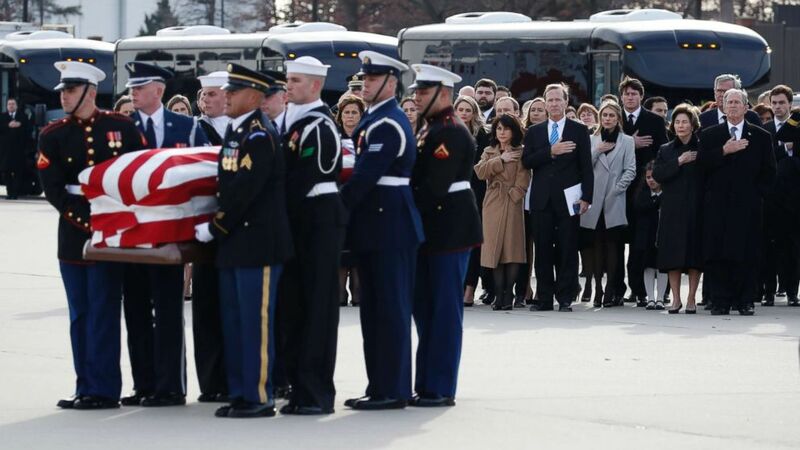 The nation’s farewell to President George H.W. Bush is ending in his adopted home state of Texas, when, after a more intimate service for family and friends began Thursday, he will be buried where he had long hoped to be: next to his wife, Barbara, and their daughter, Robin, who broke their hearts when she died at age 3 of leukemia. Before the Texas funeral began, he lay in repose at the St. Martin’s Episcopal Church in Houston, which the Bushes joined in 1959. Scott Disick: Banging ALL of the Kardashians?! Meghan Markle Ex-Files: The Duchess’ Surprising Past Exposed!